What engagement events can you get involved with? Here are just a few examples of some of the many diverse engagement events taking place across the College. You can also contact your relevant Faculty or Departmental engagement staff for more information on upcoming events and opportunities specific to your area. Are you running a regular engagement event at College that you'd like us to feature? Get in touch. Imperial Festival is a free public event, which is held each at the start of summer on Imperial's South Kensington Campus. Over the weekend-long event, we invite members from across our community to experience our research in science, engineering, health and business up close with the people behind it. Imperial Festival provides an unprecedented opportunity for staff and students across College to discuss, debate, engage, make and create with thousands of people and put their public engagement skills into practice. It’s a great way to try out your ideas, whether you’re completely new to engagement or you’ve got an idea for a new activity that you want to trial. Every year we welcome proposals from individuals, groups, departments, institutes, centres or collaborations, including ideas for interactive research demonstrations, facility tours, talks, debates, performances, workshops or any other creative ideas for ways of engaging a range of audiences with the College’s work. Call-outs for proposals typically opens in Autumn, with applications being accepted until December. Keep an eye on College communications such as Staff Briefing, Imperial Spark and the Societal Engagement newsletters for updates. You can also contact the Festival team with specific queries or to be the first to hear about the 2019 event. There are also always plenty of opportunities for staff and students to develop their engagement skills by volunteering at the event. What can you expect from the Festival? Watch the best of #ImpFest 2017. Our free Imperial Lates evening events are opportunities for Imperial researchers and members of the public to come together and discuss research. Our Public Engagement programmes team work with staff and students to develop a theme, activities and talks to ensure that each Lates event is unique and engaging. They are an exciting and supportive environment in which to try out your ideas for public engagement. To find out about the next Lates event and how you can take part, contact the team. You can also sign up to the Societal Engagement newsletter to hear about upcoming volunteering opportunities. The Inaugural Lecture series provides a unique platform to celebrate newly appointed Professors. Speakers are given a platform to share the stories and insights of their career with a mixture of friends, family, colleagues and interested members of the public. Lectures are free to attend and are now live streamed via YouTube. Contact the College's central Events team if you’re interested in taking part. 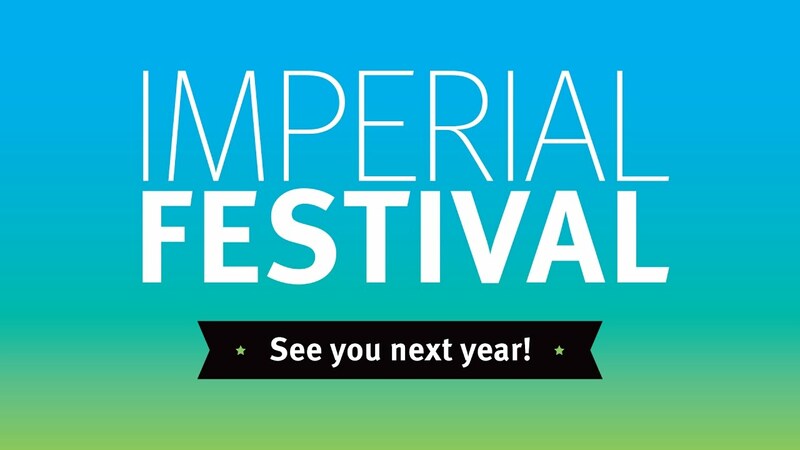 There are lots of ways to get involved in Imperial Festival, from participating and running talks and demonstrations to volunteering on campus. Find out who to contact with questions and ideas about societal engagement, from the central team to Departmental and Faculty contacts. From festivals and public speaking opportunities to outreach and community activities. Looking for support to improve your engagement skills? See what training opportunities are available for staff and students.